ER Editor: We also recommend a piece from the Daily Express titled EU SHOCK as Italy’s populist leader Salvini says he may run to replace JUNCKER. Matteo Salvini, the controversial Italian interior minister, is being encouraged by fellow nationalist politicians to run for the office of the President of the European Commission, which is currently held by Jean-Claude Juncker. Salvini, the 45-year-old leader of the rightwing North League, has risen to pan-European prominence after forming a government as part of a counterintuitive coalition with the leftist Five Star Movement. The two opposing forces were brought together on a platform of anti-establishment Euroscepticism and Italian nationalism. While he would not commit to running for the office during the interview and said instead he would have to think about it, the suggestion clearly highlights his leadership among right-wing forces in Europe. A no-punches-pulled speaker like Salvini today has better chances of winning the presidency than just a few years ago due to changes in the rules for filling the office. The president of the European Commission is selected by the European Council, based on the results of the election of MEPs. This used to be based on consensus, but now there is an informal system called “Spitzenkandidat”, in which candidates for the presidency are nominated by MEP groups ahead of an incumbent election. 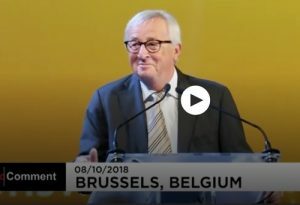 The incumbent President, Juncker, was the first person selected for the job under Spitzenkandidat procedures after the May 2014 parliament election, in which his center-right EPP group won the most seats. The new system allows such campaigning tools as candidates offering political programs and holding public debates to sway voters in favor of their blocs. Salvini is a regular critic of the European Commission and Junker. Their latest fight was over Junker’s criticism of the deficit of Italy’s proposed budget, which amounts to 2.4 percent of the country’s GDP. The Commission is expected to enforce strict non-compliance rules unless Italy amends it, but Salvini vowed he will “not change a dot” in it. 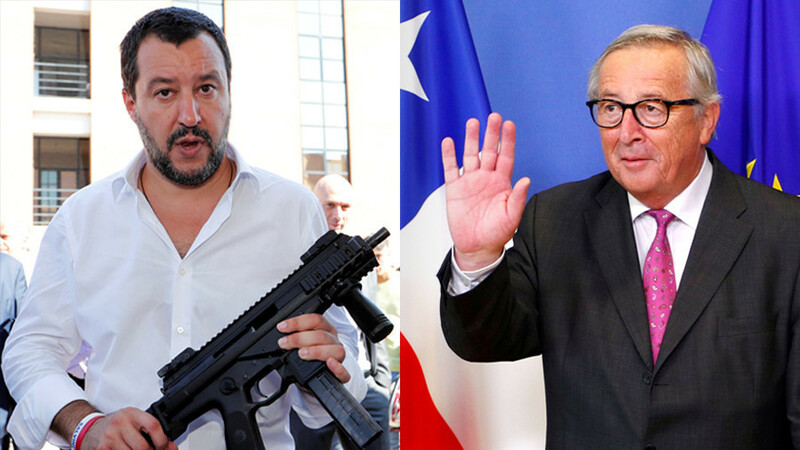 In the interview Salvini said next year’s European Parliament elections will bring such a profound change in the EU that Junker’s threats have little weight. “These men talk from besieged bunkers because they know that in six months they’ll be sent home when a wind of change blows over Europe as well,” he said.